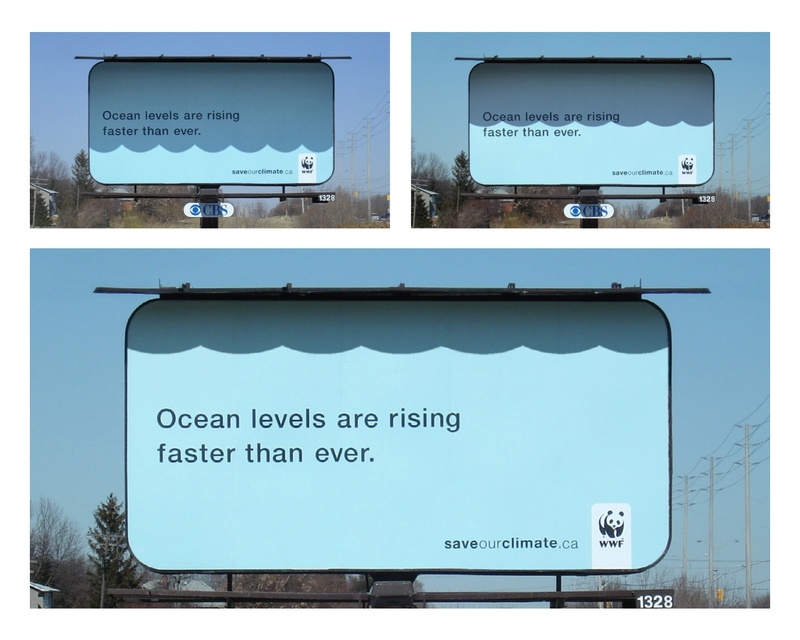 DraftFCB/Toronto has, appropriately enough, "harnessed sunlight," as ACD Chris Taciuk puts it, to deliver a message about global warming and rising ocean levels. The Toronto-based board will be up into June, at which time it will no longer be properly situated in the sun's path. 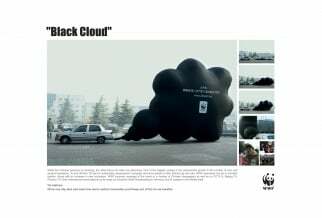 The idea, however, may travel to other WWF regions. The piece, tied to the client's SaveOurClimate.ca, can be seen here in time-lapse action. The agency is of course familiar with the Leo Burnett "Sundial" board for McDonald's, a heavy medalist on the awards show circuit right now and a resident of the Print & Design Rate the Ad Top 10 since it was first posted; but as Taciuk points out, there's room for more than one such solar-powered idea, especially when it's about something as important as the future of the planet.